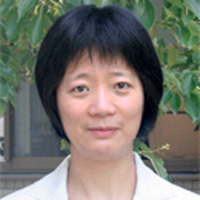 Nanyan Guo is Associate Professor of International Research Center for Japanese Studies (Nichibunken), Kyoto, Japan. Her research interests include Japanese modern literature, environmental culture, China-Japan relations and Japanese language education. Part of this paper was published in N. Guo and G. McCormack, ‘Coming to Terms with Nature: Development Dilemmas on the Ogasawara Islands’, Japan Forum, 13, 2 (2001), and ‘Ogasawara, Houtou no seisei to hen’i’, and ‘Ogasawara shotou no kankyou bunka, Mirai e no uneri’, in N. Guo and G. McCormack, eds., Ogasawara shotou, Ajia-Taiheiyou kara mita kankyou bunka, Tokyo: Heibonsha, 2005. Guo’s books include: Shuuenchiiki no jikonishiki (Hirosaki 2007), Tsugaru: Regional Identity on Japan’s Northern Periphery (Dunedin: 2005) and Ogasawara shotou (Tokyo: 2005).